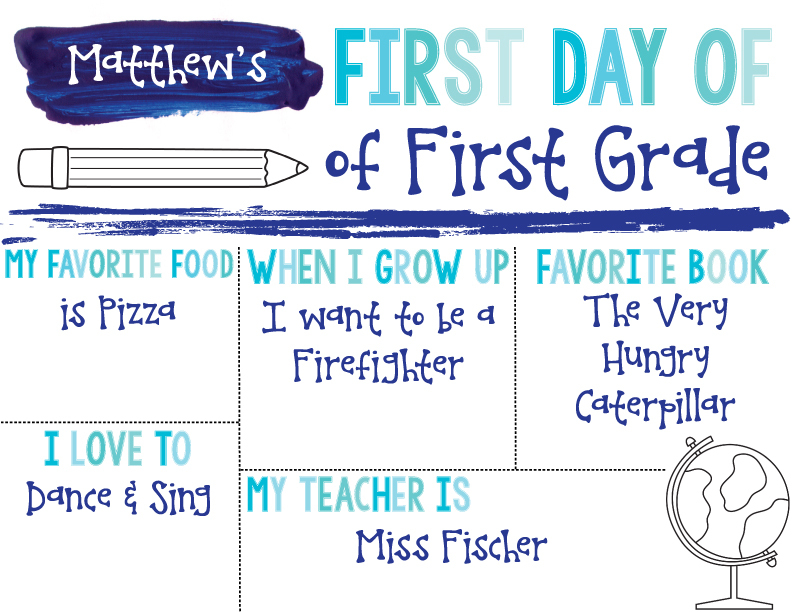 This fun sign is perfect for printing on the first day of school and framing! Just type your child’s information into the blank fields. All fonts are embedded into the document, meaning you only need 2 minutes to create a yearly tradition! This sign can be edited and updated year after year! Just open the PDF in Adobe Reader and you can have a sign ready to go in no time! Print, Frame, and snap away! Check out my blog for more information, freebies, and my crazy life as a teacher! Check out my blog, Apple Slices. Thank you!